Home Latest KUTCH – BADALI VALA SHIXAKO NE CHHUTA NA KARVA BABAT PARIPATRA DATE-22-6-2018. KUTCH – BADALI VALA SHIXAKO NE CHHUTA NA KARVA BABAT PARIPATRA DATE-22-6-2018. Previous articleDANG SHALA SAMAY FERFAR KARVA BABAT PARIPATRA DATE-22-6-2018. 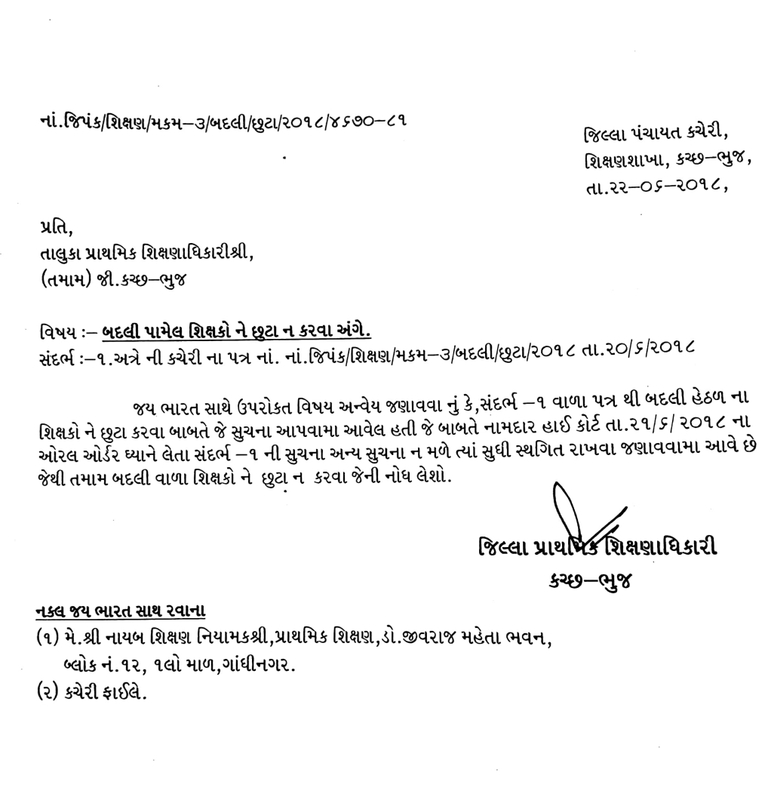 Next articlePTC CPED ATD NA MITRO MATE PARIKSHA GUJRAT VIDYAPITH NOTIFICATION DECLARE.